Lincoln Blackthorne is an adventurer on a global scale. Blackthorne is described as a misfit spy in at least two flyleafs, though for which organization it is not clear. What is clear is that he is a very experienced adventurer, also described as a combination of Rambo and Indiana Jones with some Woody Allen thrown in. He is described as average in height and slender in build with unruly black hair and "eyes so dark they saw through the soul". Blackie, as he is called although he hates the nickname, is fair with his fists, good with guns, great with knives, and very bad with heights. He is definitely the man to call when you need an artifact that doesn't want to be found or that is being held by people who really want to keep it. When he is not out adventuring, though, he is happily working in his tailorshop in Inverness, New Jersey, where he lives a very sedate and uneventful life. He is being persued for marriage by the young and lovely Carmel and entertained by three old folks who like to hang around the bench outside his shop. What makes this noteworthy is that these old people, a woman and two men, obviously have a history with him and with each other. The woman, Old Alice, is an expert forger and the two men, Macon and Palmer Crowley, are adept at creating weapons and strange tools used by Blackthorne in his adventures. This is a very interesting group. The adventures that Blackthorne takes part in are the reason he is included in this listing for while they do not include international intrigue or actual espionage, the people he meets and often fights do those jobs routinely and apparently at one time so did Blackthorne. And these books are just too good to not put in. When Pizarro was negotiating with the Incas just before destroying their empire anyways, his men introduced to the king the concept of playing cards. The ruler ordered his own deck made. Blackthorne is sent to Peru to find the one card his old "friend" needs to complete a deck. The Tail is a magical talisman made from the tail of a legendary Arabian horse named Knight. Blessed with recuperative powers, it is sought by a rich man willing to pay a lot. It is also sought by others willing to kill to keep Blackthorne from getting it. 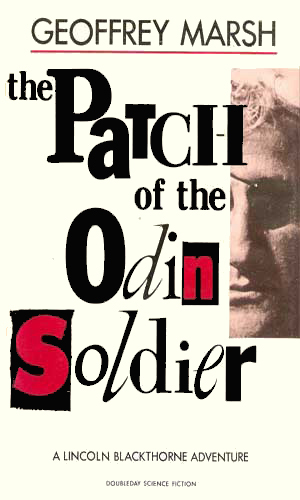 The Odin Soldier is an ancient Viking statuette, made of wood, which is supposedly the source of supernatural powers. It is desired by a man named Cull whom Blackthorne thought he had killed once before. Once Cull gets it, he is ready to start a world war. 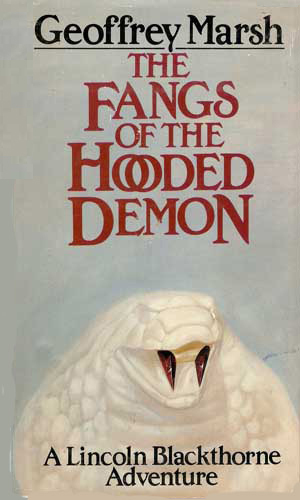 The fangs are two carved rubies which had once been fitted into an ivory statuette of a cobra. Once belonging to Vlad Tepes, the source of the Dracula legend, the fangs are said to have the power to bring back the dead. Blackthorne is coerced into finding them. 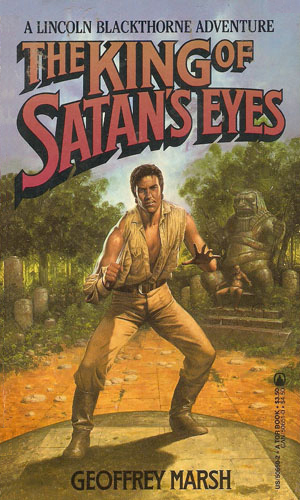 Undoubtedly influenced by the first Indiana Jones movie, which came out two years before the first book in the series was written, this wonderfully fun series about an international globe trotter with a spy background who fights bad guys while treasure hunting artifacts is a hoot. The fact that when he is not heading to far off places to encounter who knows what kinds of dangers, he earns a living as a tailor in a small town is great. I would read another four if I could. And I would love a series about the supporting cast. These old codgers deserve recognition! 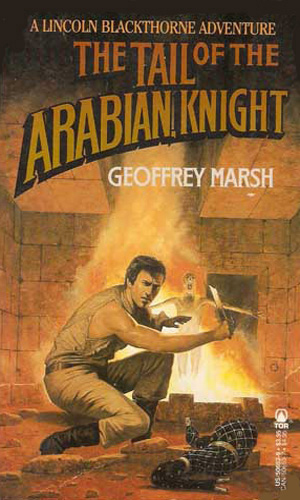 Unfortunately, the gifted author passed away in 2006 so Blackthorne's future adventures will remain a secret.